Scheduled over two weekends in June, this Classical Music Concert features musicians from the Jacksonville Symphony Orchestra joined by internationally renowned artists presenting a variety of classical compositions. The festival runs June 18-20 and June 25-27. Want to learn more about this festival? Check out their website here. If you are planning on visiting St. Augustine for this annual Music Festival be sure to book your St. Augustine Historic Bed and Breakfast Inn while there are still some rooms available. Check here to see which inns still have availability. Concerts are held in the historic St. Augustine Cathedral Basilica. The Cathedral Basilica’s lineage reaches back to 1565, when Don Pedro Menendez de Aviles established St. Augustine in the name of Catholic Spain. 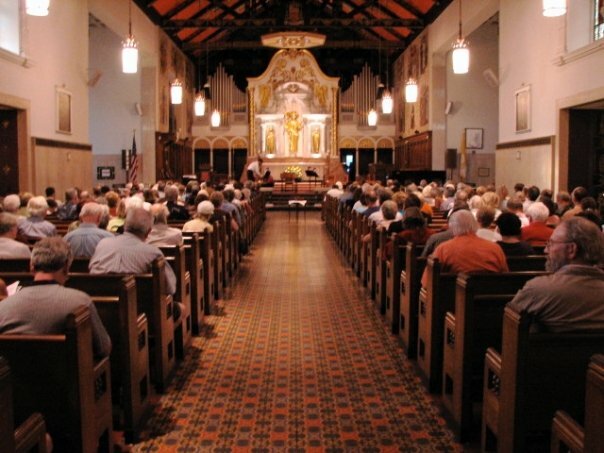 The St. Augustine Music Festival – an independent, not-for-profit group – has presented concerts in the Cathedral since 2007, thanks to the gracious permission and welcome of the parish.